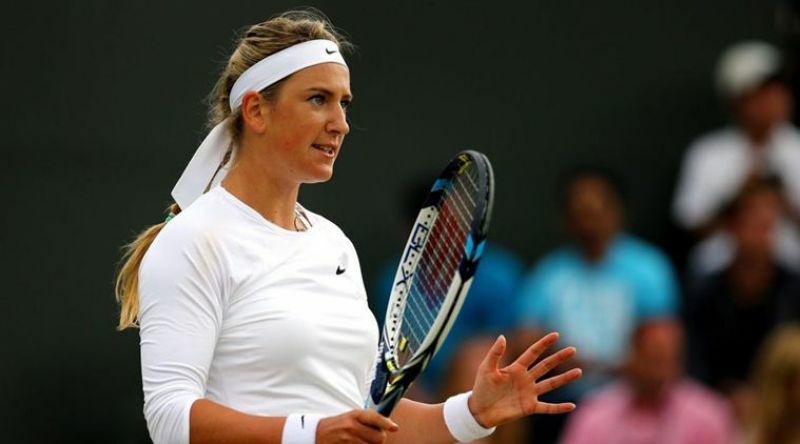 Two-time US Open runner-up Victoria Azarenka is ranked just below the cutoff for direct entry into the year's last Grand Slam tournament. Azarenka, a former No. 1 and twice the champion at the Australian Open, is No. 108 this week, seven spots outside of an automatic spot in the main draw. The US Tennis Association announced yesterday that defending champion and top-ranked Rafael Nadal is one of six past male singles champions in the US Open field, along with Roger Federer, Novak Djokovic, Andy Murray, Juan Martin del Potro and Marin Cilic. Another past title winner at Flushing Meadows, Stan Wawrinka, is ranked 199th this week. The women's winners with direct entry based on this week's rankings are six-time champion Serena Williams, two-time champ Venus Williams, defending champ Sloane Stephens, Maria Sharapova and Samantha Stosur.